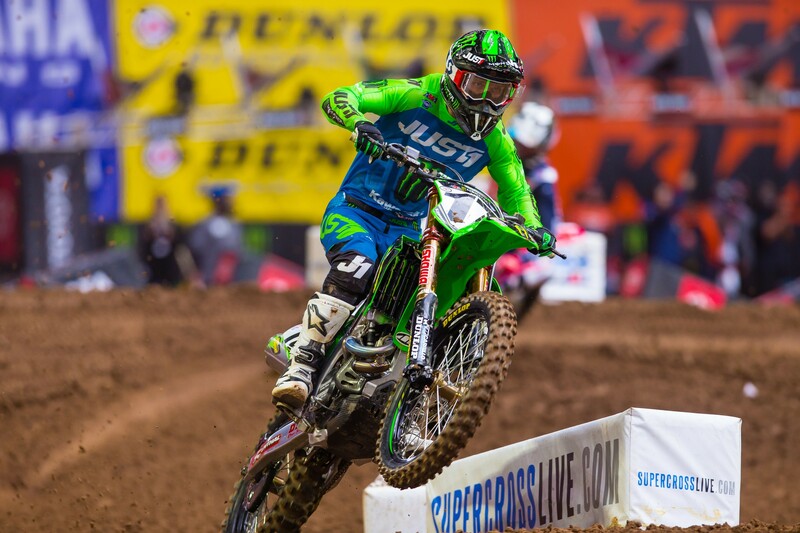 According to the Monster Energy Kawasaki team, Joey Savatgy was diagnosed with a concussion last night following a crash in his heat race at round two of the championship in Glendale, Arizona. The crash was not caught on TV, but NBC cameras did show Savatgy talking with the Alpinestars Mobile Medical Unit staff following the crash. He did not return for the LCQ. We will update Savatgy’s status for round three of the championship once more information is available.